On 15 February 1910, Claude, aged 22, married Lilian Gladys Fairlie, aged 19, daughter of John Fairlie and Margaret Taylor, in the residence of Joseph Sleep in Adelaide, South Australia . The officiating minister was Reverend J. Pearce.1 His name was changed to Claude St Clair Stephens , probably because of the disapproval of German names during the First World War. 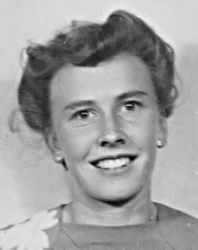 Evelyn was also known as Evelyn Maggie Stephens.